Male inhibition of female re-mating is com-mon in many insects. Mating plugs, used by males to con-trol female re-mating, have been postulated in several ant species. 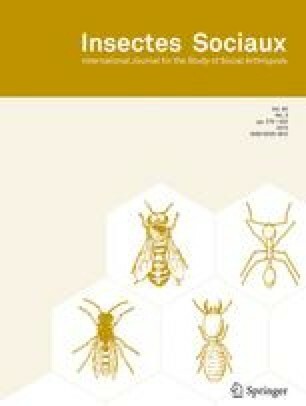 Recent studies of bumblebees have described re-mating inhibition by male accessory gland secretions. Fire ants Solenopsis invicta possess accessory glands containing the same four fatty acids as do the bumblebees. Furthermore it appears that some of these acids are transferred to the female at mating. Thus, it is possible that single mating of fire ant females may be enforced by male mating plugs.